For several novels now, Stephen Elliott has been writing scintillating fiction that is almost always about himself; each is a memoir of some segment of his life, and like many a memoirist, there are those, like Elliott’s father, who challenge the writer’s veracity. 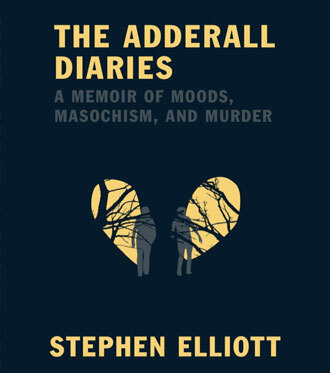 In his latest, The Adderall Diaries, Elliott steps up to several challenges: he gets involved in a story that’s not his, a murder mystery, he confronts the naysayers like his father who complain that his memories are fiction, while simultaneously writing, in the midst of it all, perhaps his best memoir yet. Michael Miller charts Elliott’s tortuous and triumphant course through the new novel in his review here.